Haha! I normally try and blog 4-5 times a week (because well, I just have so many recipes and so much to share with you) but with this post, I have already reached 5 different posts just for this week alone and it is only Wednesday! And if you are sick of me, well tough! Because I am not slowing down any time soon! I have more giveaways, holiday recipes and other fun stuff to share with you in the upcoming days and weeks! But let’s keep things short and simple today. With one post and an easy breakfast recipe. 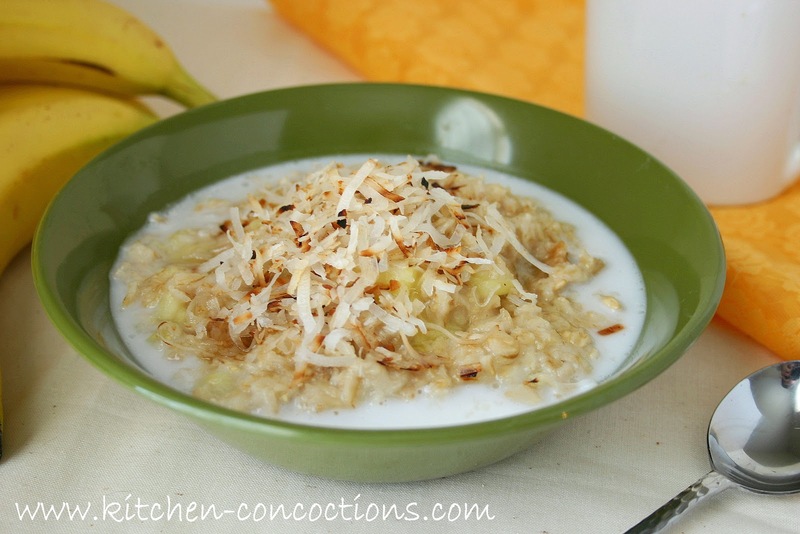 If you are living somewhere with brutally cold temperatures right now (and by brutal I mean like the 40’s because that’s about as cold as this Texas girl can handle), then this oatmeal recipe will warm you up AND have you day dreaming that you are on some sorta beach somewhere soaking up the sun rays, your feet in the sand and the sound of the waves crashing in. 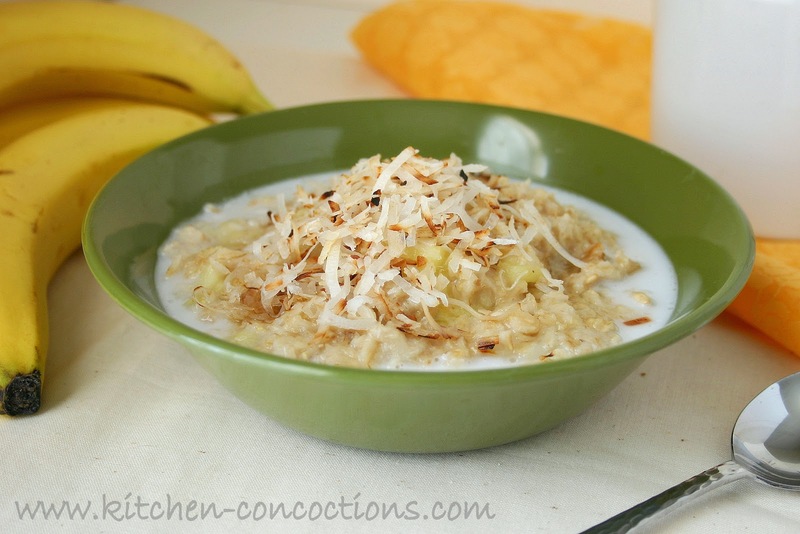 Combine oats, water, milk, fruit and extract in a medium sauce pan. Bring to a boil. Lower heat to a simmer and cook, stirring occasionally, for 5-8 minutes. Meanwhile place coconut flakes in a small sauté pan. Heat over medium heat for 30-60 seconds or until coconut flakes are lightly toasted. 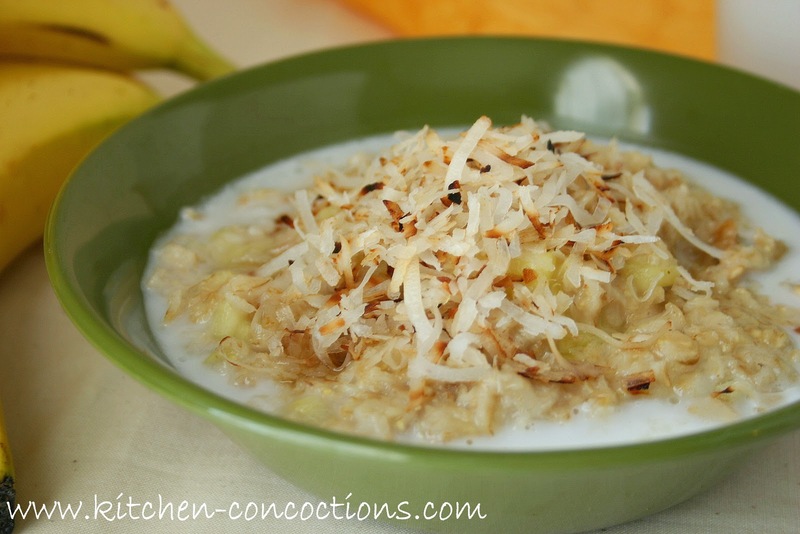 Serve cooked oatmeal topped with toasted coconut, a drizzle of honey, or a splash of coconut milk; if desired.